Hi! 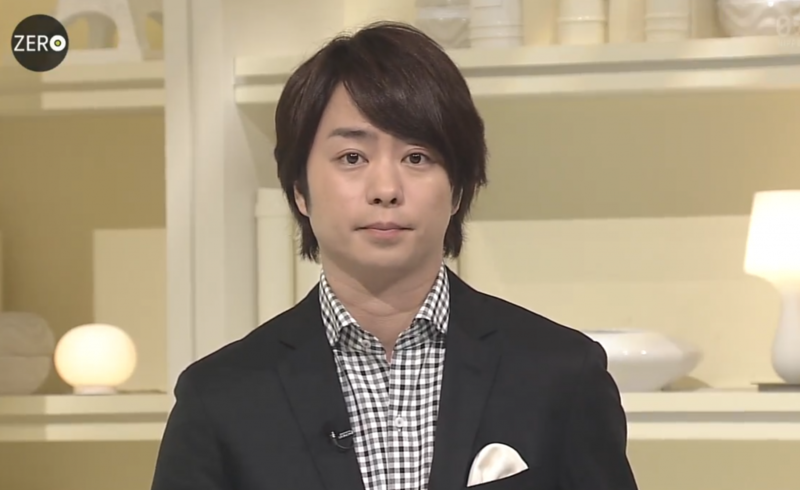 Today I’d like to do a little review of Sho’s Ichimen corner. I’m just catching up to watching their shows from last year, hence the reason why this review is from an episode that aired so long ago… But it’s interesting anyway. For those of you who don’t know, Ichimen (一面) actually means “one aspect” or “one side”. 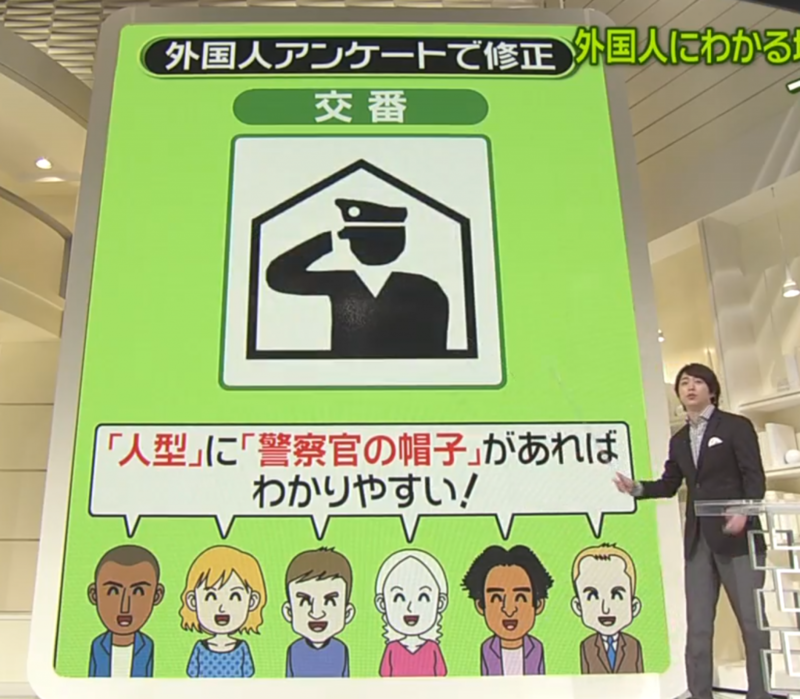 It’s a corner where newscaster Sakurai Sho does an interview/news segment about a particular news story, presenting one side of the news, hence the name. 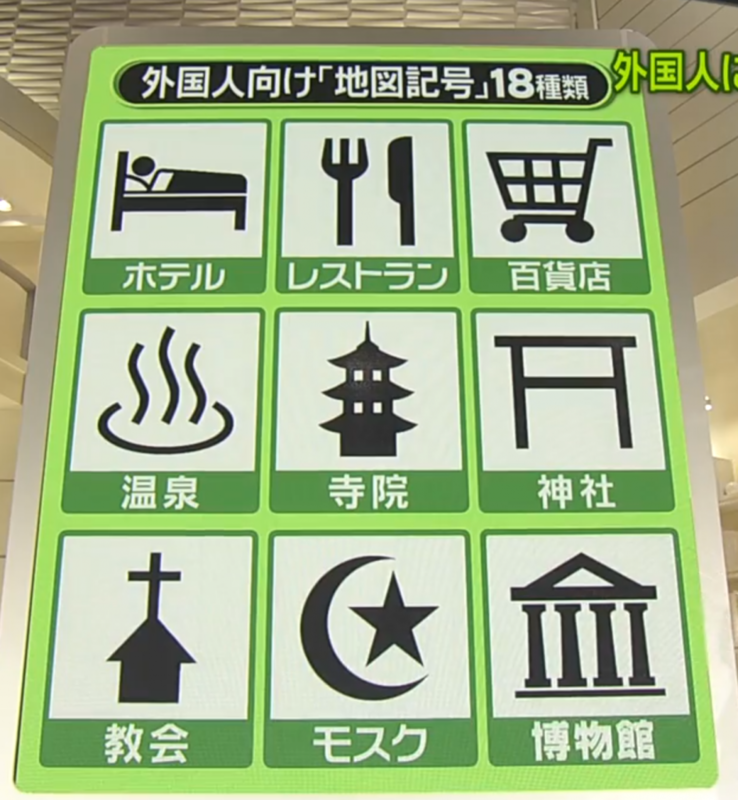 This Ichimen segment discusses the change of symbols used in Japanese maps and guidebooks aimed at tourists to make it easier for foreigners to understand the map. This is in line with Japan’s efforts to make themselves more tourist friendly as annual tourists numbers to Japan increases, and as Tokyo gears up for the 2020 Tokyo Olympics. 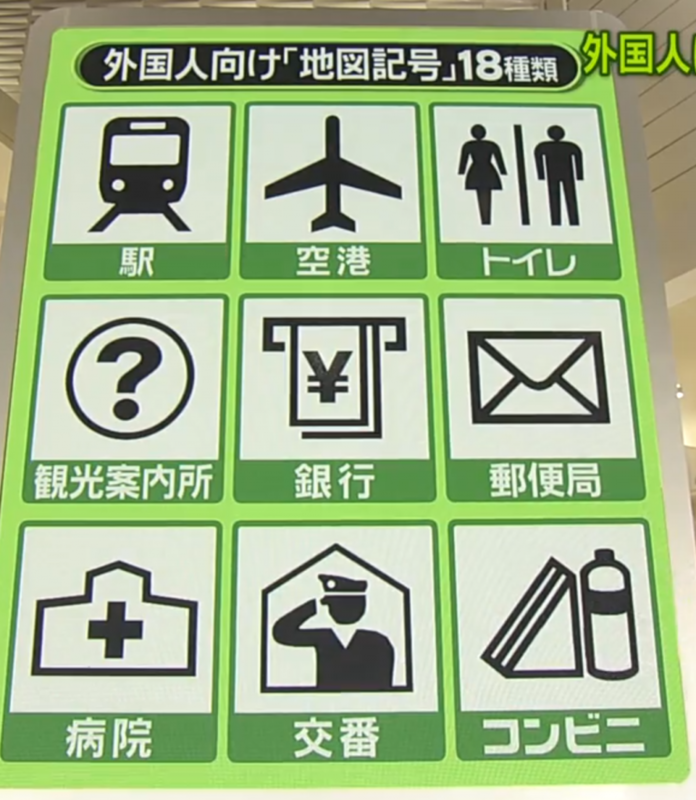 Previously in another Ichimen segment, the issue of improving the English street signages in Tokyo to make it easier for tourists to navigate the city was also discussed. First let’s look at how their old maps look like. 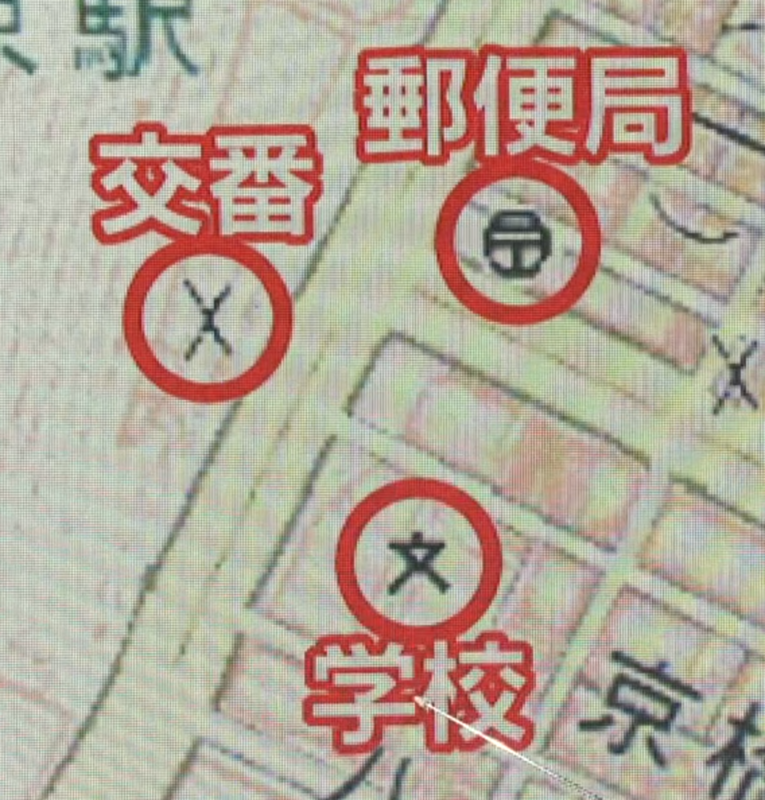 On the top left, the X mark refers to 交番, meaning police box. 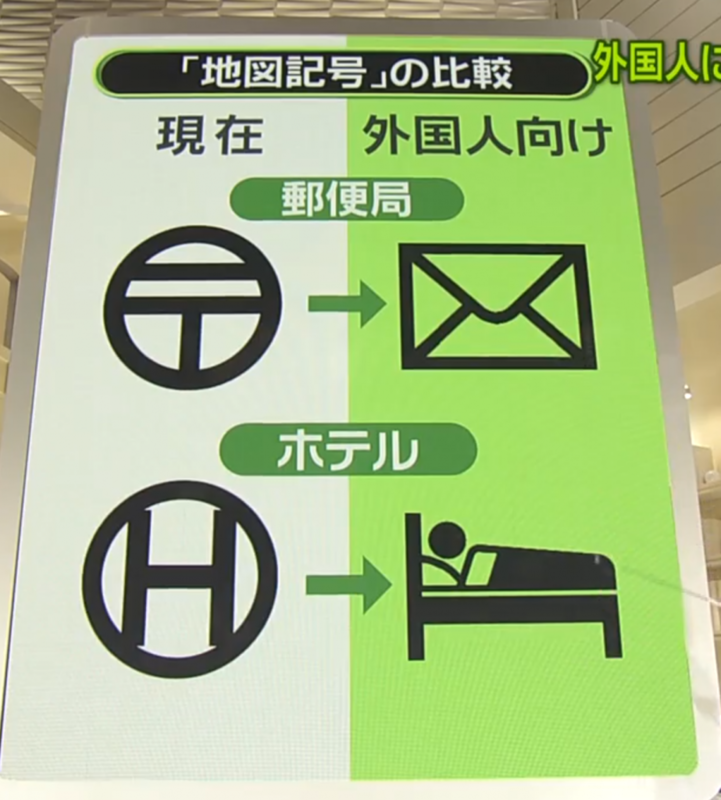 On the top right, the circle mark with a T like symbol inside… It actually refers to the post office (郵便局). Meanwhile, the map symbol for school (学校) is from the kanji 文 (ぶん, bun). 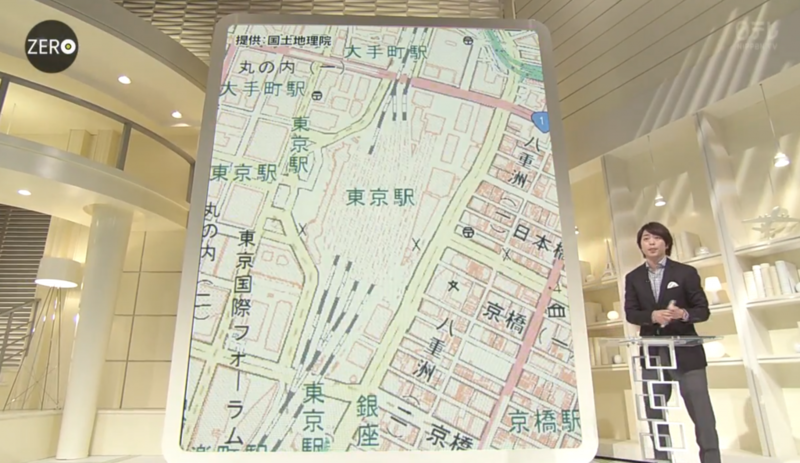 Honestly, looking at the printing on the map, the symbol standing for a kanji would be the last thing on my mind. It looks more like some sort of person. As for the other two symbols? I wouldn’t have guess what they stood for at all! The symbols have been designed with ease of identification when printed on maps, at tiny sizes of just 2-3mm, in mind. Looking at the old and new post office and hotel symbols, we can see that they changed a lot. 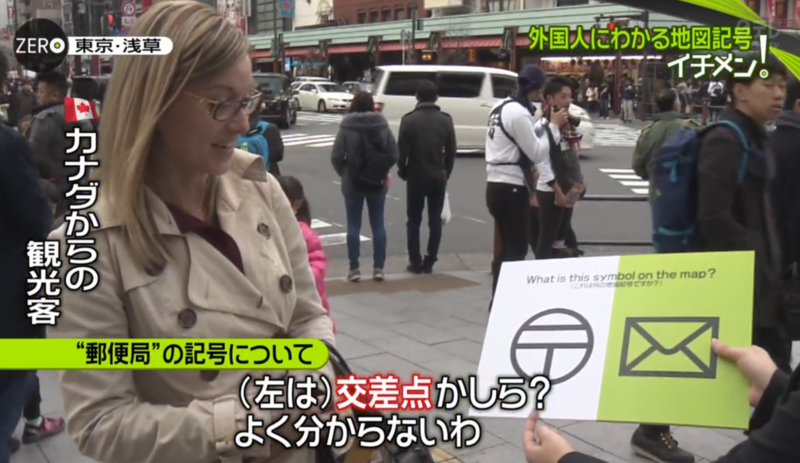 News Zero interviewed some tourists to see how they interpreted the new and old symbols. Tourists guessed the old symbol to mean traffic crossing, or train station. As for the new symbol, it was immediately obvious that it stood for mail/post office. As for the old hotel symbol, tourists guessed that it stood for hospital. An Italian tourist even mentioned that the same symbol was used to refer to hospitals in his country. Over a thousand foreigners were surveyed for the revamp. The police box symbol was greatly changed as a result of their feedback. The X (cross) symbol was thought to represent no entry or restricted zones. 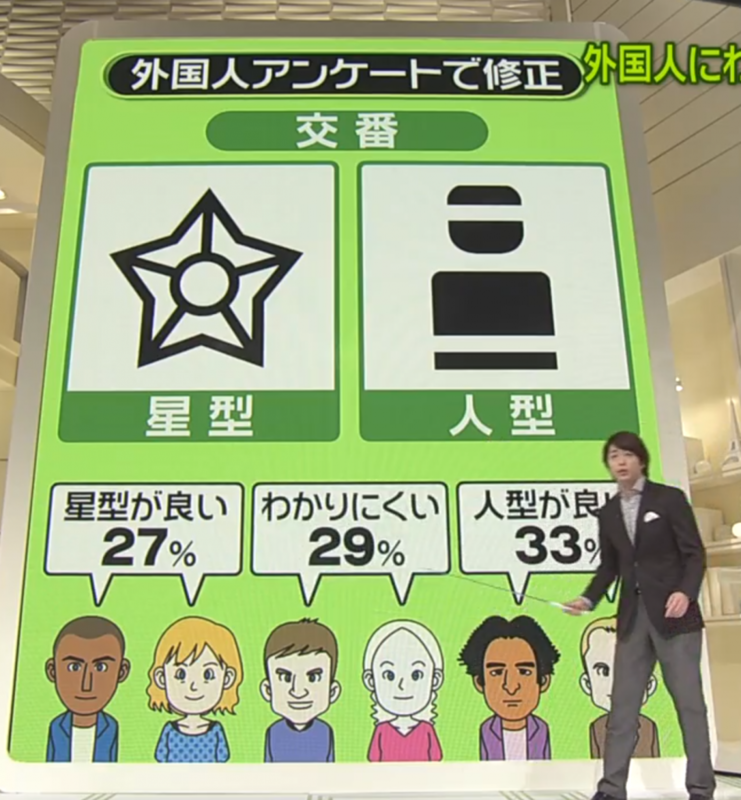 When given a choice of two possible police box symbol candidates, 27% of the people surveyed said that the star symbol was bettter, while 33% said the stripped person symbol was better. On the other hand, 29% said that neither were easy to understand. Personally I fall under the 29% of the people. At first glance, the star would remind me more of some special place of interest, while the stripped person just makes no sense… Perhaps more like a person in prison garb than police uniform. Further feedback from the survey respondents mentioned that a person wearing a police hat would be easier to understand, and as a result a new symbol design was born. These changes will make Tokyo a more tourist friendly place. Still, there remains much to be done before the 2020 Tokyo Olympics. For example, the emergency announcements in public transportation are only made in Japanese. It would be better to have the announcements in other languages such as English or Chinese as well. And that marks the end of this Ichimen segment! The term ‘airport’ is made up of the kanji 空 and 港. 空, pronounced as sora or kuu means air or sky (this kanji also has multiple other meanings). On the other hand, 港 (pronounced minato when used on it’s own) means harbour or port. So together, the kanji literally means ‘air port’. Also called お手洗い (おてあらい, otearai) – literally meaning a place to wash your hands.